I have voted on line. Now all I need to do is wait for a dry day to cycle to the US Consulate to have the print out sent to my precinct. It is nasty out. At night, it has already dropped to below freezing in parts of Holland. Last night I found a solution to my search for a place to stay while working on the boat, near here, in April/May. 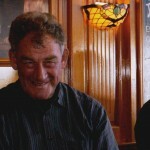 One of the club members, Heino, will let me use his home in Osdorp which is a 15 minute bike ride away. So far I have not had any fresh ideas on the book cover blind spot. There is still lots of work to be done on the English version, not a chance for cabin fever yet. I plan to be in Enkhuizen for the Antique Boat Fair and will be going with cruising friends I met in Greece this summer, Hans and Mini of “Water Music”. They live in Hoorn, close to Enkhuizen, and they have invited me to attend a presentation in Hoorn by Paul Giep and his partner about their world cruise experiences. We also went to standard time here yesterday morning. You would have expected to see more people show up for mass. An American preacher as gifted as Father Bakker of the St.Augustinus Church would draw large congregations. I always come away with useful lessons and new insights and a blessed feeling. The gospel was on the healing of Bartimeus, the blind man, in Jericho. My two nieces, Jozina and Marieken are trying to get together with Corrine and I before Jozina returns home from her three week visit from Perth, Australia. Not easy with their busy schedules. Friday October 26. From Summer into Winter. The electric heater is purring away in “Fleetwood” ‘s cabin. The sun just set and it will get close to freezing tonight. I managed to protect the damage from the destruction derby, on Fleetwood’s hull, in the French locks with epoxy, when the rains finally ceased and before the temperatures dropped too low. I have helped with raking leaves on the yacht club’s lawn. The huge Chestnut tree still has bags of chestnuts and leaves to to collect but the Oak tree has shed its leaves and the chipmunks have squirreled away its acorns. It will not be much longer till I can put my skates on in my living room and Hans Brinker away across the canals and lakes. Skating used to be my passion. The last time I skated in Holland was the winter of 1956-1957, just weeks before I emigrated to California. With my twin brother, Jaap Willemse and Peter Biemond from our street. 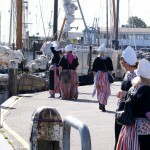 The 100 km “elf dorpen tocht”, eleven village tour, on the old fashioned skates that were tied with ribbons to street shoes. The skates I used are now antique wall decorations in my daughters’ homes. My bruised ribs are slowly healing and I can tolerate a good laugh again. Saturday, October 20. The last spasms of a memorable Summer. The wind is blowing from the south, bringing a short respite from the rain and cold Fall weather. I cycled without a coat to my cousin’s home near the Central Station in Amsterdam. The sidewalk terraces were filled. I was early and stopped to have a Heineken on one of the canal bridges. Seats were scarce. Nick, an Englishman, offered me a chair at his table. He was visiting his Dutch fiancee he had met in Nicaragua. They have planned their marriage in the spring. He had been a professional football player, played water polo, surfed and wandered all over the globe, worked as a bouncer in the Caribbean, flight attendant and now is a fireman. This is the best entertainment I can get and it is free…. Life is good. 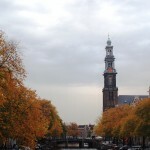 And Amsterdam, with the trees in the Vondelpark and along the canals displaying their Fall splendor, is a real Dutch Treat. I have found an excellent spot to work on the boat, to remove the deck. Very close to “de Schinkel”. I can start in the 2nd week of April after the winter stored boats are cleared out of the shed. Now I will need to find a spot to sleep for those two months from early April. Does any body have any suggestions? Lieftst in de buurt van de Bosbaan. Ik heb gekeken voor een antikrakers plekje, maar nog niets gevonden. Liefts ook waar ik mijn avondeten kan koken. The healing process for the ribs is slow and the occasional cough is still painful. But I shall survive. 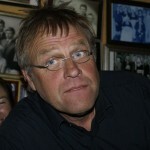 This evening I have been invited by my nephew, Dirk Jan and family, in Haarlem. 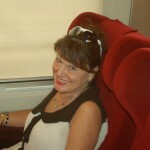 Tomorrow I have coffee with my friend Evelyn, I have known her since 1956; then dinner with my sister and brother in law. Sunday morning: the power went out here on Saturday and was unable to send the Saturday post. I had a very nice evening with the De Ruiters. Dirk jan gave me a scenic tour through the surroundings near Haarlem. 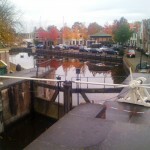 We stopped in Spaarndam and Dirk jan took the below picture of the colorful Maple trees. Their 12 year old son, Lukas, accompanied his mother, Fransje on the piano playing “Take Five” from Dave Brubeck. Fransje played the soprano Saxophone. Today is the Amsterdam marathon. The route runs right along the marina, the loudspeakers making the announcements and music are blasting away. Monday Oct 15. I will be flying a new club burgee. I joined the Y.C. 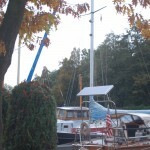 “de Schinkel”, where I am moored and where I was given a very warm welcome when I arrived here the first time in 2009. I have been clu(e)bless since I dropped my membership at my Gig Harbor home port y.c. in 2008. I learned to sail at this club in the early fifties from my uncle, Fred van Ommen, who was a member here for many years. Corinne, my granddaughter, came to visit with a visitor friend from Seattle, Jesse, who works at the Sodexo concession at the Seattle Aquarium where my # 2 Daughter, Rose Marie, is the catering manager. I cooked Boerenkool (Farmer’s Cabbage), a traditional Dutch winter fare. Does your Y.C. 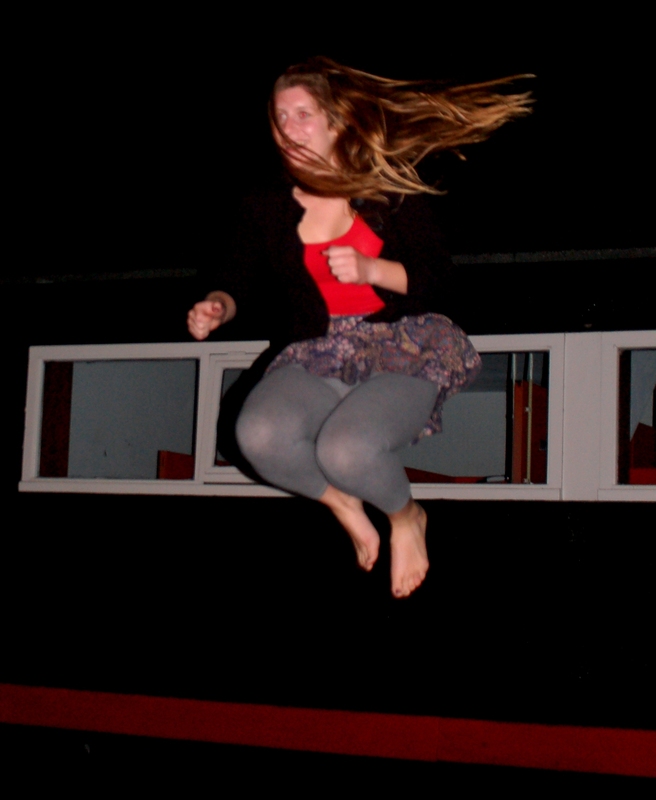 have a trampoline? Mine does. And Corrine will be back soon. I am so proud of her, at 22 she still knows how to be a child. After having mastered the flute and the clarinet she told me today that she found an Iranian violin mentor and a beautiful instrument to rent for 10 euroes a month. 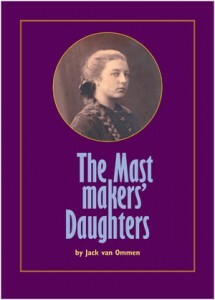 Her great grandmother, the mastmaker’s daughter, should have known her. Because she is living the life she wanted and always urged me and any other young man or woman to pursue. you are able to move mountains. The gospel was from Mark 10. The rich young man who asked Jesus what it would take to earn salvation. Jesus suggested that he gives his wealth away to the poor and follow Him. I have friends and acquaintances who are a lot more generous than I was when I had money. And then I lost it all plus other people’s money. Have I learned my lesson? Last Saturday, when I stepped of the boat I slipped on the wet pier. One foot went into the water and I hit my back hard against the wind vane frame. I must have bruised a rib and the discomfort is getting worse. Just an hour ago I had to cough and the pain was excruciating. Thank God that the cold is nearly gone, but I am not sure if I can sleep on my side tonight. I am staying overnight in Soest with my friends Arhur and Marianne whose home I will sit all of January. I hope I can ride the bike to the railroad station here. October 12. Under the Weather. Out of the Weather. The electric heater is humming in the cabin and it is nasty outside. I am nursing a cold. Ce Ce left Wednesday morning, good timing because my coughing that night would have kept the whole marina awake. But last night I was already much better. I am well enough to work on the writing projects. Last Tuesday, I sat down with Victor Levi to get going on the cover design of “De Mastmakersdochters”. I received 43 foto’s from Marian Erkelens Korpádi of the Koster tot Kapealaan Botter race on September 29 and I am posting a few of these below. 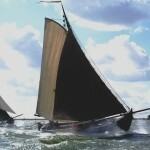 I plan to add more of these to the web site under http://cometosea.us/?page_id=1796 item 96) in the index “Traditional Sailing” in the next days. You remember the picture I put on the blog a few posts ago of the English Pilot Cutter of my grandfather? My greatgrandmother bought this yacht from Jan Oost in Enkhuizen in 1906. Today I found several of his descendants who live on the (former) island of Urk. I plan to meet them and I’ve been promised there will be lots to talk about. So, here I go again. When I leave Holland half it’s population will be on the pier of IJmuiden to send me off out because of some kind of family or historical connection. Willem van Dierem. De laatste (1967) zeilende botter visser op wat nu de BU-59 is. Yesterday I sent out my occasional “Where is Jack?” e-mail to a long list of friends and family. This is meant as an update to those who only occasionally visit this site. In case you wish to be added (or deleted) let me know. I added up the miles and locks for the nearly 6 weeks voyage through the canals and rivers from the Mediterranean to Amsterdam: 1650 km or 1000 (1375 singlehanded) land miles, 251 locks 150 liters diesel and 275 Euroes in moorage fees. Belgium was the 49th country I visited on this circumnavigation, till now. 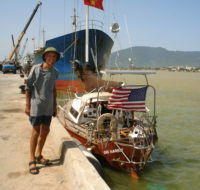 After I had completed the long Rhine-Danube trip, last year I speculated that I am probably the first American solo voyager to do so. Most likely there is not another American masochist who tackled a total of 3,375 miles and 301 locks on European waters by himself. Last Sunday I, by coincidence, met a French lady in a restaurant who had voyaged with another more famous American yachtsman, Irving Johnson, through the European waterways from France to Helgoland off the North German coast. 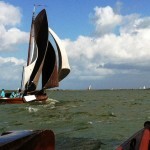 That had to be in the sixties when the Johnsons sailed the “Yankee 3” which was built in Holland. 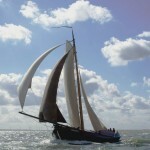 Johnson (born 1905)’s wife got her love for the sea on “Wanderbird” the German pilot schooner of fame. When I had engine problems in August of 2005 coming into Papeete from Moorea it was Commodore Tompkins (1932) who pulled me to a moorage when he was just making his first landfall on a non stop voyage on his brand new “Flash Girl” he had built in the S.F. Bay area. Tompkins grew up on his family’s “Wanderbird”. And it was the inspiration for the Johnsons to purchase, in 1933, their first “Yankee” as a Dutch pilot schooner. The French lady’s husband is a Dutch cinematographer and film director who I hope to meet and hear more about their experiences. I attended mass at the close by church “St. Augustinus”. 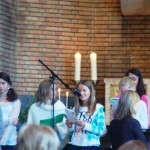 It was the monthly children’s mass. I have not figured out where the boys were. Very nice service. One of the songs they sang was the Beatles song “What the World Needs Now”. Ce Ce is returning to Atlanta on Wednesday. I have enjoyed her company very much and I think that she had a chance to see Europe from a rare perspective not available to most American tourists. The girls choir at mass today. I am all settled in again at the yacht club where I learned to sail with my uncle in the early fifties, “de Schinkel” on the southern edge of Amsterdam. Monday afternoon I had a meeting here with Ida who is looking after the publishing of “De Mastmakersdochters”. Next Tuesday I have an appointment with a designer for the book cover. It is still difficult for me to grasp the reality that after all the years of research and writing it will be on the bookshelves within weeks. I will keep everyone posted here when it is available in print and in e-book. The English version still needs some work but I estimate that it might be available before Christmas. My 22 year old granddaughter, Corrine, came for dinner last Tuesday. She is one of the reasons to dance my “last Tango” with Fleetwood in Holland. She is finishing her studies from the Pacific Lutheran University here at the UVA in January. My nephew Dirk Jan and his wife and son also stopped by to meet their second cousin. The weather has been wet and dark but still reasonably mild. My plans for the summer may change. 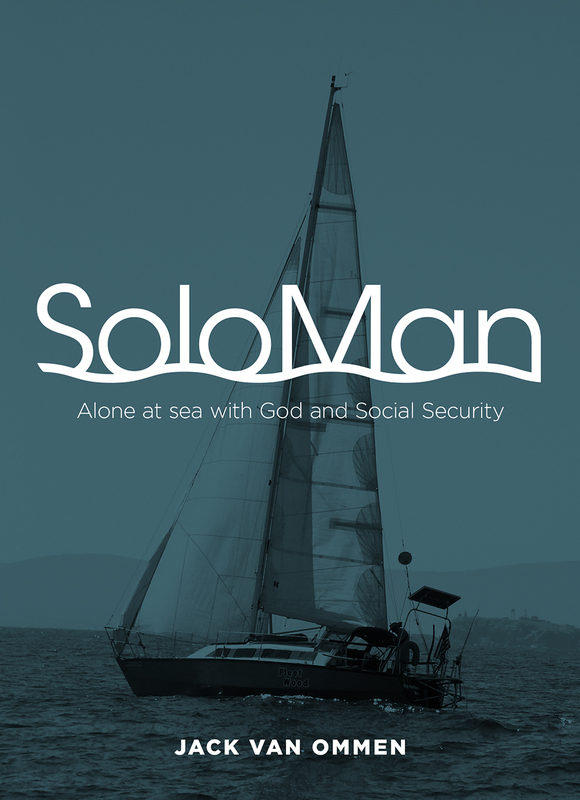 Instead of doing the Baltic and Sweden I am now considering joining a couple boats of this club to sail the French coast via the English south coast in July and then to continue on to the Canary Islands via the Spanish north coast and Portugal. This will also depend on how long it will take to replace the teak deck and other major maintenance. Good news! The camera has been located. I have to return a form letter to the NS in Utrecht with 15 euro to get it back. The below picture was taken by Aart van Halteren with his I-pod. 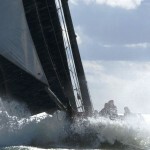 I have been promised a good picture from one of the ladies on the BU-20 of the BU-59 we sailed on last Saturday. 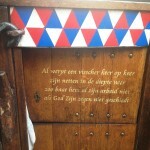 The Red/White/Blue above the door and on the rudders are called “Prinsenwerk”, it originated in the 16th century as a tribute to the Prince of Orange.